Bhubaneswar: The proactive approach of Odisha government towards consequential implementation of investment intentions seems to have been producing results as rate of under-implementation of live projects has drastically declined from peak level of about 62 per cent in FY13 to about 47 per cent in FY17, according to a just-concluded study conducted by apex industry body ASSOCHAM. The study released by ASSOCHAM’s president, Sandeep Jajodia along with T.K. Chand, chairman National Council on Mines & Minerals and secretary general, D.S. Rawat at a press meet held in Bhubaneswar today also highlighted that between FY12 and FY17, investment projects in manufacturing, construction and real estate sectors had recorded considerable improvement in terms of under implementation rate which had worsened in case of sectors like mining, electricity, non-financial services and irrigation. Explaining how a higher under-implementation rate implies that most of the projects or outstanding investments are under process and yet not completed, it was stated that a higher under implementation rate does not augur well as actual benefits of an investment are only derived upon completion. Projects with huge investments that are under different stages of implementation have been a major concern for policymakers across India as governments both at the centre and the states have been taking various initiatives to reduce the extent of such investment projects both in terms of numbers and values. 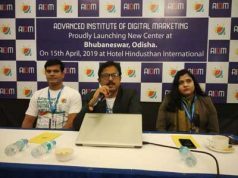 The ASSOCHAM chief said that Odisha should continue taking up implementation of projects on war footing as that would further serve as an incentive for industry, attract domestic and global investors in larger numbers, generate jobs and lead to holistic development of the eastern state. The study conducted by ASSOCHAM Economic Research Bureau (AERB) noted that Odisha had attracted over 900 projects with live investments worth over Rs 13 lakh crore as of FY17. “Odisha accounted for third highest share of over seven per cent in the total live investments worth over Rs 177 lakh crore attracted by variety of sectors from public and private sources across India as of FY17 with Maharashtra (over 11 per cent share) and Gujarat (8.5 per cent) being top two states in this regard,” noted ASSOCHAM study. Manufacturing sector accounts for highest share of 42.5 per cent in the total live investments attracted by Odisha as of FY17 followed by electricity (about 31 per cent), non-financial services (about 14 per cent) and mining (nine per cent) that constituted major share. It is also pertinent to mention that as of FY17, with 16.5 per cent year-on-year growth in terms of live investments Odisha had surpassed the all-India rate of 4.6 per cent by huge margin. However, there are 413 projects worth over Rs six lakh that are under different stages of implementation but it is heartening to note that under-implementation rate has dipped sharply and steadily over the years which is indeed a very positive development for the state. Though Odisha is ranked 13th in terms of its economic size and contribution to India’s economy (2.6 per cent share), its economic growth has increased from 4.6 per cent in FY13 to about eight per cent in FY17. While the all-India economic growth rate was 5.5 per cent in FY13 which had reached just over seven per cent mark in FY17. Besides, agriculture and allied activities’ sector registered a compound annual growth rate (CAGR) of about eight per cent between FY12 and FY17 which was way more than all-India growth rate of 2.5 per cent. Odisha clocked a CAGR of about nine per cent in industry sector between FY12 and FY17 which was again ahead of all-India’s growth rate of about six per cent during this period. The state has also registered an impressive CAGR of over 12 per cent in the services sector between FY12 and FY17 which was more than all-India growth rate of about nine per cent. Food processing sector – State government should play a catalytic role in promoting this industry so that agricultural produce of the state can be put to use for manufacturing edible products as that would bring immense benefits for state economy, help raise agriculture yields, create employment opportunities and raise standard of living of rural population. Marine industry – State government should work towards increasing aquaculture production through focused research on increasing productivity, profitability, area under culture, intensification and diversification of species and systems while addressing environment, food safety and social equity issues. Tourism – Considering that tourist arrival in Odisha had increased by over 69 per cent between 2010 and 2016, ASSOCHAM has suggested for consequential development of infrastructure at tourist hotspots across the state and come up with inclusive sector-specific policies to take the momentum forward and derive better synergy of tourism and development. Effective post-harvest management infrastructure; adopting a cluster-based development approach; promoting job creating industries like MSMEs (micro, small and medium enterprises) and improving co-ordination among government departments are certain key suggestions given by ASSOCHAM to the state government to enable Odisha emerge as a front-runner state across India.